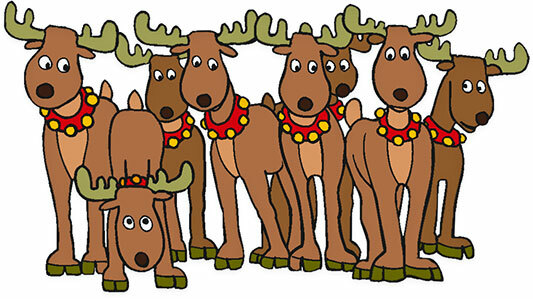 Printable images of various members of Santa's reindeer. A reindeer walking on a crisp morning. If you are going to pull Santa's sleigh on Christmas Eve you have to be in your best shape. Nothing keeps you healthy like a brisk walk. I wonder which reindeer this is working so hard. He looks a lot like Comet or perhaps Blitzen. Merry Christmas! 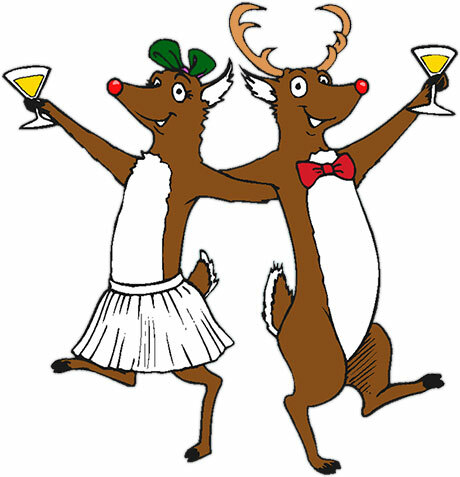 Mr. and Mrs. Rudolph are celebrating a successful Christmas Eve flight. Santa's reindeer are posing for a photo. Wouldn't it be easier to simply take a selfie? 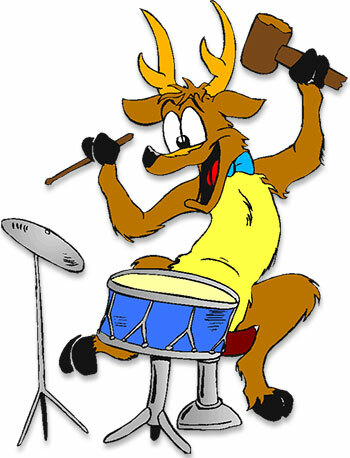 Reindeer playing a little rock and roll on the drums. One of Santa's reindeer power walking in the snow. He seems happy so perhaps he likes the snow. 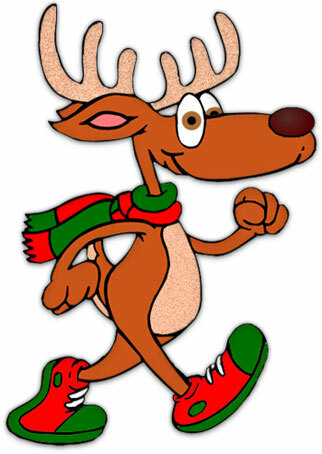 I wonder which of Santa's friends this could be, perhaps Dancer or Prancer? I have a hard time telling those two apart. Anyway, he looks ready for the Christmas flight. 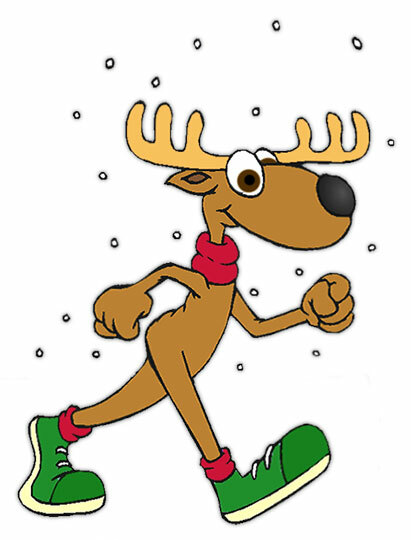 If you save and use our reindeer clipart please give us credit. Thank You.